Vidyakul brings CBSE Class 12 Chemistry Sample Papers 2019 PDF for students to prepare for their board examinations conducted by the Central Board of Secondary Education in the month of March. These CBSE Sample Papers 2019 PDF for Class 12 Chemistry serves as an important study resource for all students who will be appearing in the exams. Class 12 Chemistry is a tough subject for students to prepare for. It entails various complex topics that need to be understood and learned by the students for the board exams. Apart from the topics, there are various reactions and equations that are supposed to be replicated in the examination. To do this, students are required to understand, learn and then practice those reactions. 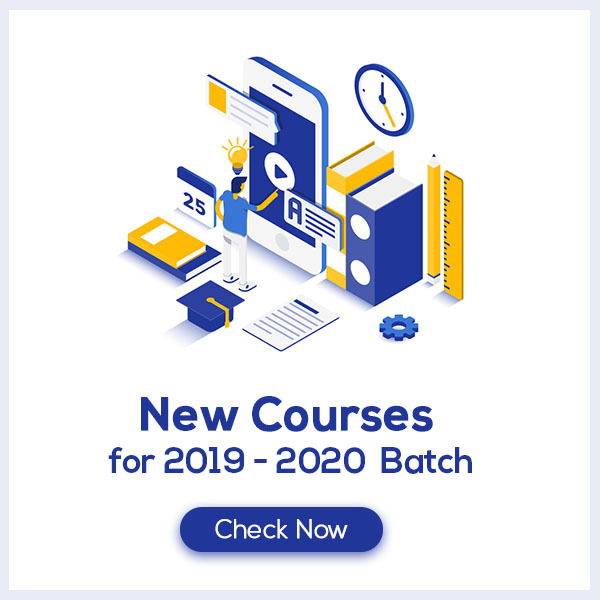 This is where CBSE Class 12 Chemistry Sample Papers 2019 PDF comes in. These CBSE Class 12 Chemistry Sample Papers 2019 are provided to the students in easily downloadable PDF format to ease out their learning, preparation, and revision process and help them score maximum marks in the board exams. Why Vidyakul Class 12 Chemistry Sample Papers 2019 PDF are Important for students? Vidyakul Class 12 Chemistry sample papers are important for students because they help students to revise class 12 Chemistry full syllabus. These sample papers for class 12 chemistry 2019 pdf will give students a real exam feeling. Students can feel the real exam pressure because chemistry sample papers pdf for class 12 were prepared by expert teachers of Chemistry. By solving class 12 chemistry sample papers 2019 pdf, students will get to know where they are doing mistakes and where the correction is needed. How Student Can Score Good Marks With CBSE Class 12 Chemistry Sample Papers 2019 PDF? 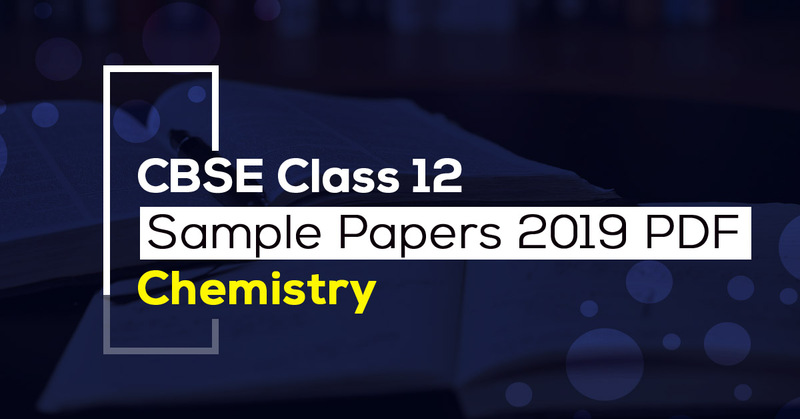 Class 12 Chemistry sample papers 2019 pdf is provided below as per CBSE guidelines. These sample papers will help you cover chemical equations and reactions. To help students in practice Vidyakul presents CBSE Class 12 chemistry sample papers 2019 PDF. These sample papers consist of the most important and most expected questions which help revise syllabus. CBSE Class 12 chemistry Sample Papers 2019 PDF gives an idea of the CBSE board exam because these sample papers were designed by expert teachers of CBSE. The sample papers which Vidyakul is providing are in downloadable format and students can easily download them. To take the maximum benefit of CBSE Class 12 chemistry sample papers 2019 pdf, student must solve all the sample papers of chemistry and refer their solutions as well. All the questions in this 6 CBSE class 12 chemistry sample papers 2019 pdf are important from the 2019 board exams point of view. Download the Class 12 sample papers now. How To Take Maximum Advantage Of CBSE Class 12 Chemistry Sample Papers 2019 PDF? To take maximum advantage of CBSE Class 12 Chemistry Sample Papers 2019 PDF, student have to make a proper timetable for study. After making the study plan student should focus on those topics which have high marking weight age. Give priority to those questions which your school teacher has marked as important. Class 12 chemistry sample papers 2019 pdf cover all those topics which are important for 2019 board exams. After doing all the sample papers students will be very satisfied with their preparations. Students can download the chemistry sample papers 2019 for class 12. CBSE Class 12 Chemistry Sample Papers 2019 PDF contains the most important questions which have a great probability to come in 2091 board exams.